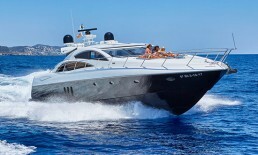 The Pershing 72 is a status symbol. 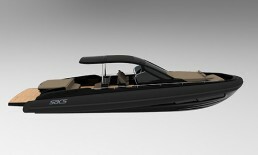 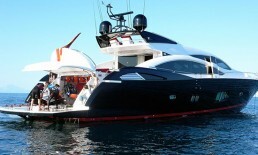 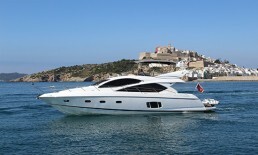 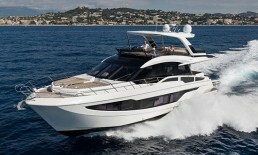 Built to ride with comfort and sophistication on the open sea with 40 knots. 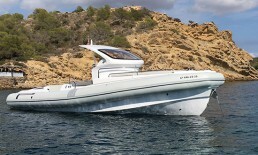 She has contours with a distinctive futuristic style, a bright design and classic curves. 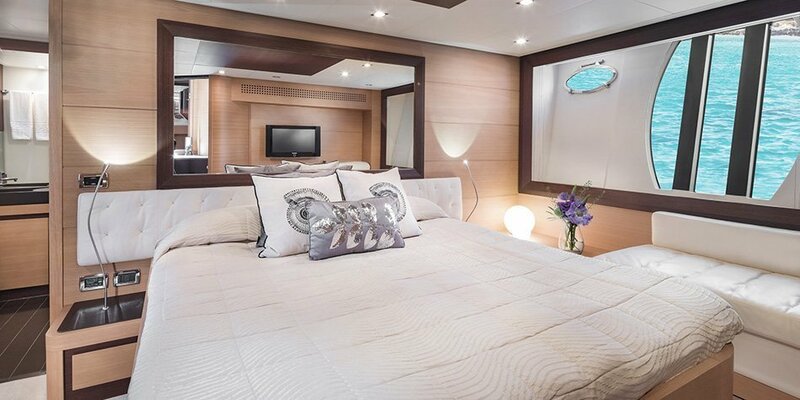 She is equipped with a state-of-the-art technology in every detail on board. 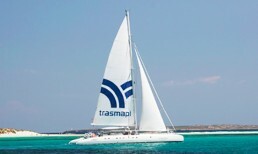 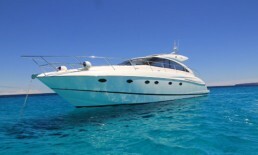 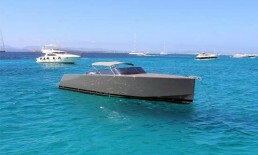 BOSE system and television ensure entertainment on board, water sports like water ski and wakeboarding let you enjoy the cristal clear waters of Ibiza and Formentera. 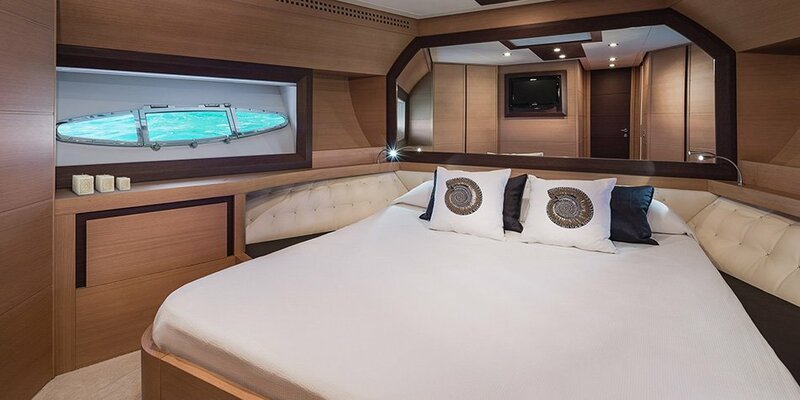 This yacht hosts up to 10-day charter guests and sleeps 6 guests in three cabins.